They use a product called B-Nine 1250 ppm on Zinnias and other plants to keep them small and compact. This costs $78.70 for a pound on Amazon. Hummerts in St. Louis has this product for sale. It looks like they applied this when the plants were very young. They have pests in the greenhouses and use Integrated Pest Management. They use yellow sticky cards, geckos, beneficial insects and when things get out of control they will use many assorted pesticides – even neonics. They try to “rotate modes of action.” Don’t spray with the same pesticide all the time or bugs will become resistant. 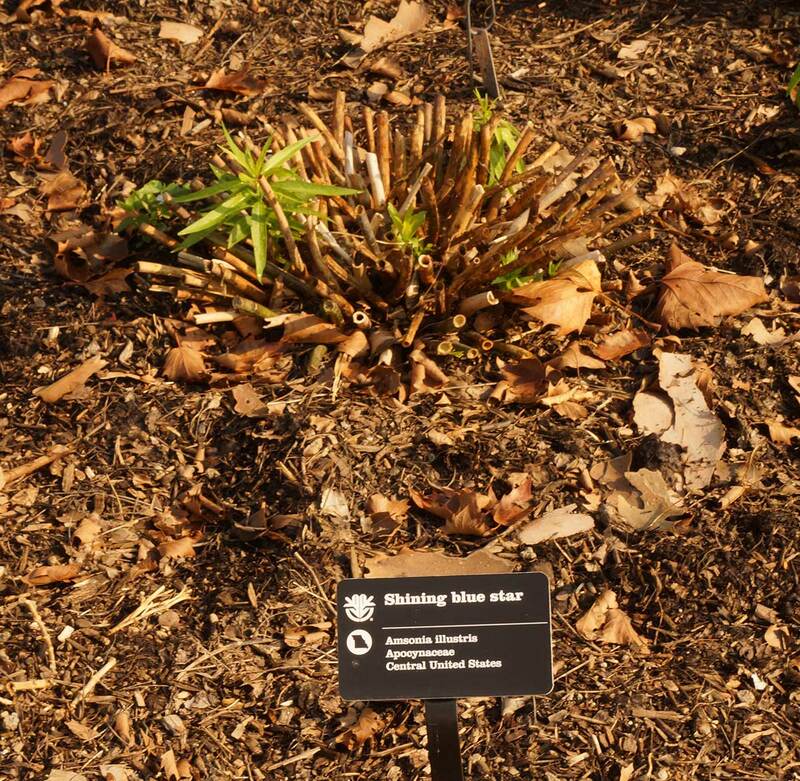 Water – in the winter they warm their water so as not to shock the plants. They use soil mixes with Mychorrhizae. Most of their mixes come from Ball, but they do have some ProMix soils. Over by the EECC building, to the right of the main entrance, there is a bed which has common milkweed with caterpillars. They seem to only use wood chips and the plants are spectacular. I would bet though that they have have put in a very good soil mix. They had common milkweed in this garden with quite a few Monarch caterpillars. I hope they don’t spray. The guide does not like Turface – over time it gets mushy. Livingcollections.org is a way to look up where plants are located in the MoBot properties. At this time they do not allow the public to see the database records where they record what they do to particular plants. Stratify seeds at 40 degrees – usually – put seeds in the refrigerator, not the freezer. To keep seeds for a long time, they dry them out in a frig with Silica Gel Desiccant. Orchids like high humidity – that’s why they don’t do well in most houses. Vanilla comes from an orchid and has to be hand pollinated – that’s why it is so expensive. Ten people are responsible for growing 250,000 plants! They do have volunteers to help them. They use a lot of Peters water soluble fertilizer for most plants that they grow. I found a similar bag on Amazon. They use 150 ppm. Fertigation – new word – adding liquid fertilizer to the water. He likes Forrest Keeling trees because of how they grow them. Even in the greenhouses, a Cabbage White had managed to sneak in and lay an egg. 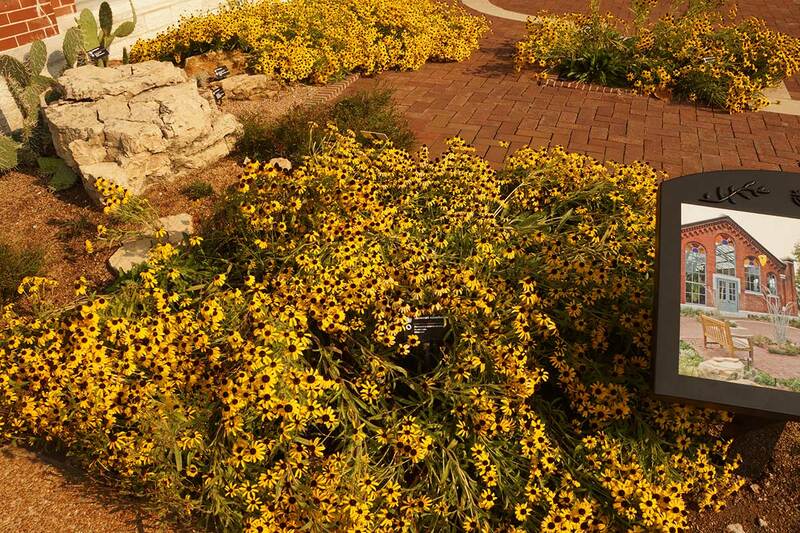 This is a great tour, but is only available to horticulture students at Meramec. Our tour guide was a Meramec horticulture graduate and is a testament to their great horticulture program. Low growing – lots of color late in the year. 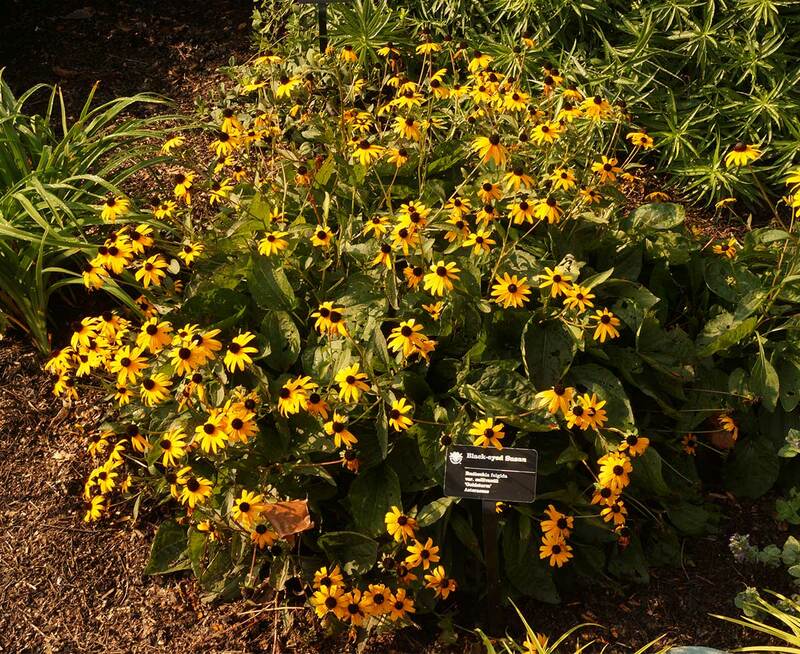 Rudbeckia-missouriensis – falls over so give it room – still blooming, but no insects on it. Shining Blue Star – this one they cut down to the ground – others they kept large. 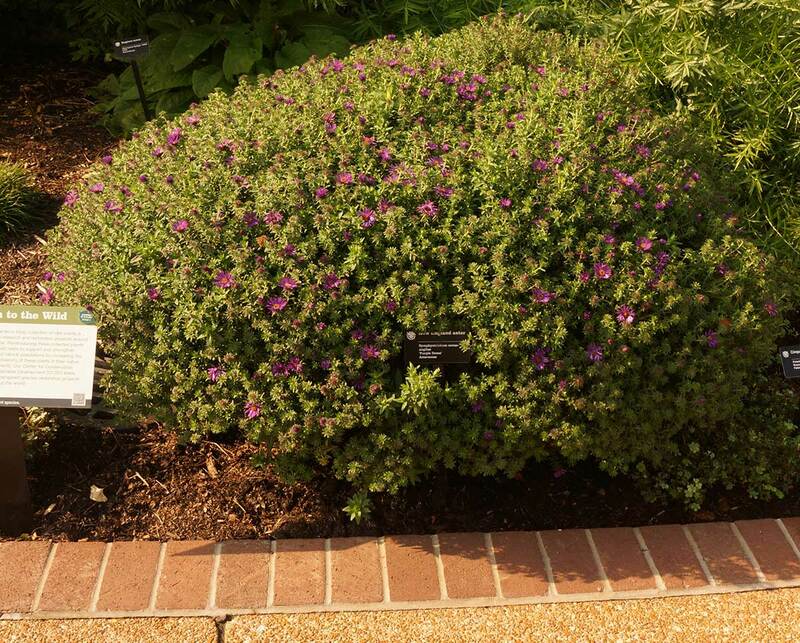 Purple Dome New England Aster – this is not trimmed – about 48″wide and 30″tall. I’m going to replace a lot of my NEA with this variety. Rudbeckia fulgida var. sullivantii Goldstrum – seems more upright than Missouriensis. 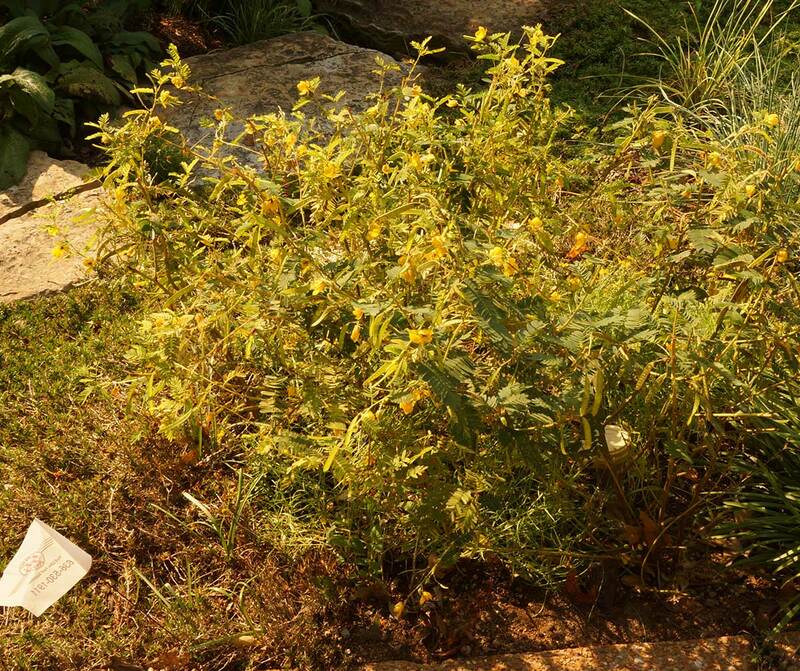 Partridge Pea – notice that they cut theirs back about 50% – this keeps it from flopping over.